By now if your house is like mine, the stockings are hung by the chimney with care, the tree has been decorated, and a few presents may have even been purchased. If you are also like me, your to do list seems to be growing as the days til Christmas are dwindling. That means I like to make meals I can eat on for days. 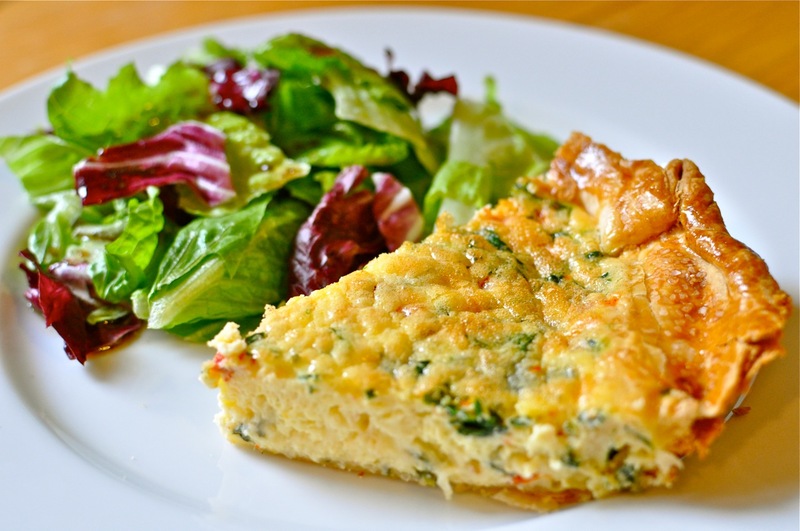 This Christmas quiche is just that sort of thing. 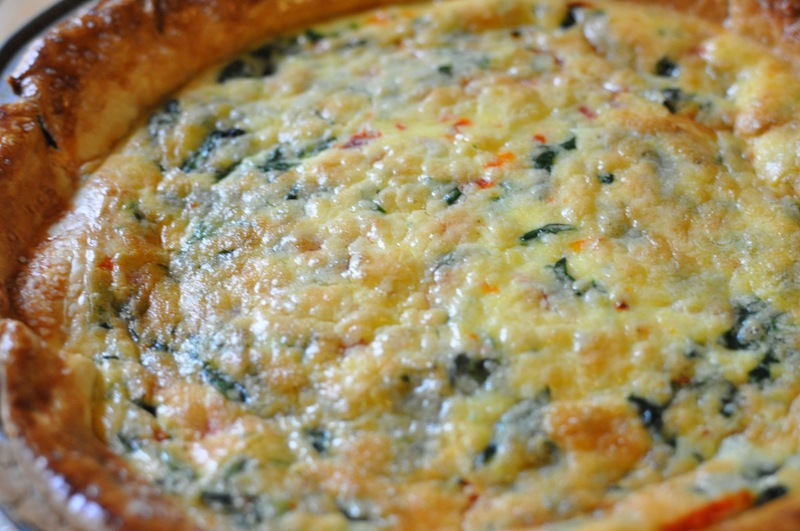 You can find my original recipe for a simple cheddar quiche by clicking here. Start by switching the cheese to cheddar jack. Then to this just add a 1/4 quarter of a cup of roasted red peppers (remove as much of the liquid as possible if you get them from a jar) and 1 cup of spinach leaves that you lightly saute in a drizzle of olive oil and kosher salt. Finely chop these ingredients up and stir them in with the other ingredients and bake as usual.